Look at this guy I found last month. 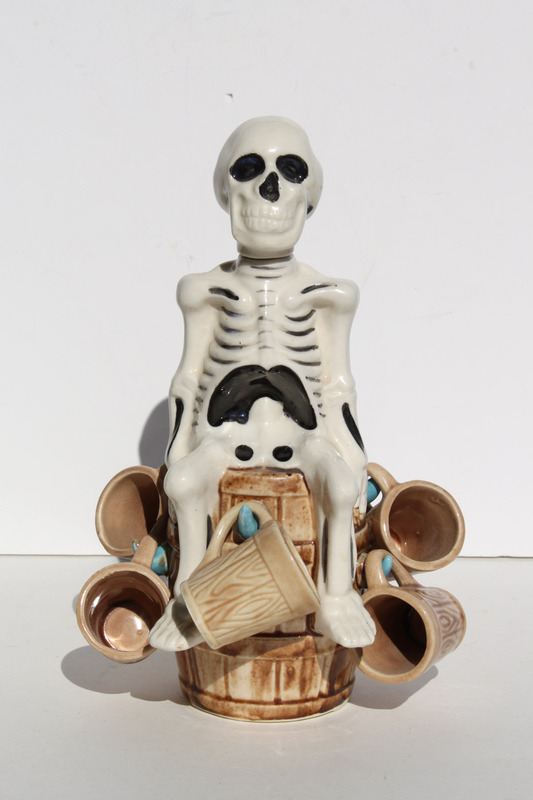 He is a Reis Skeleton Decanter set. The cups are so cute hanging on the barrel. I couldn’t find any others like him, so I decided to list him on Ebay. I was pretty sure he was vintage, but because I couldn’t be positive. Etsy just wasn’t where I wanted to list him. Sold him over the weekend. I think he would make great Halloween decor. I normally don’t get into Halloween because of the negative, scary part, but he is actually cute. Love collectors.